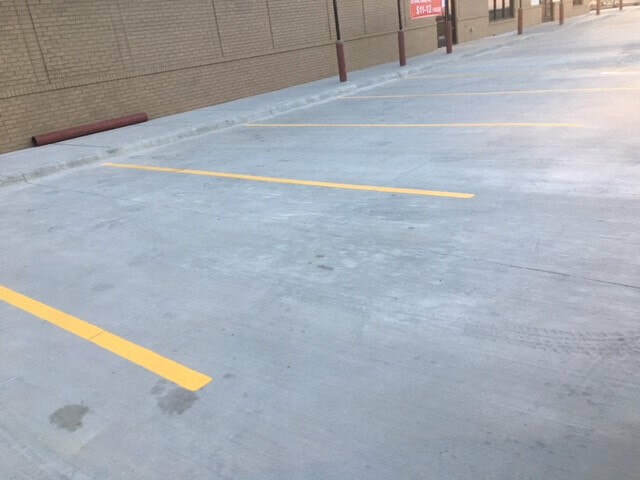 ​Striping parking lots is what we do best, and we are Raleigh’s one-stop pavement striping professionals. We provide our customers with a full range of pavement marking services and take care of all maintenance needs for your lot. No matter if you need new pavement markings or maintenance services like a restriping, we can fulfill your needs. In addition, our technicians will help design a comprehensive maintenance program for your pavement, tailored to your traffic patterns and work environment. With timely maintenance, we not only help improve the appearance but also extend the life of your pavement. Pavement markings will be accurately placed, by our team of professionals. All striping will be straight, and uniform in thickness and in color. We offer a wide variety of standard and custom metal signage. This includes all traffic and handicap signs on standard or custom posts. 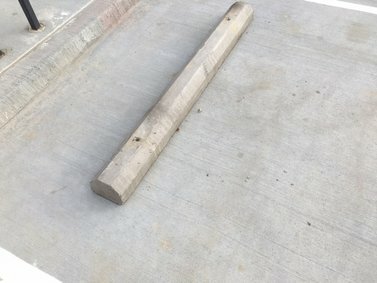 Concrete wheel stops add an extra layer of safety and protection to your parking lot. Our professional installers are ready to assist. 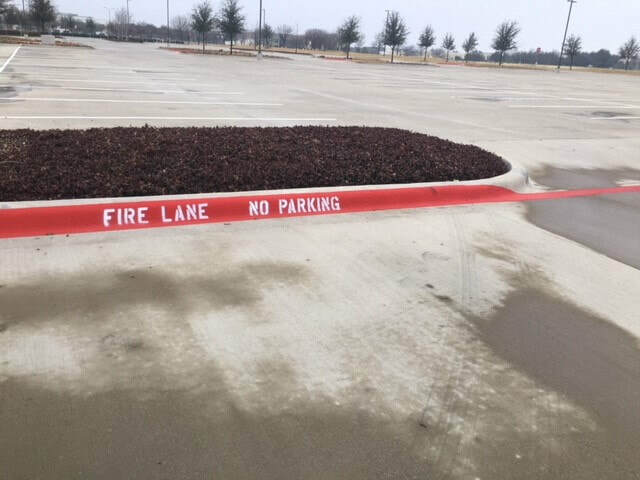 Fire lane safety and compliance is something we take seriously. 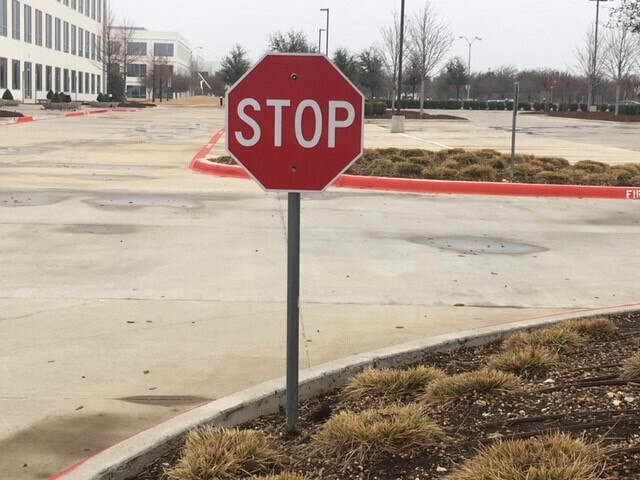 We will make sure your parking lot is in full compliance. The ADA requires your business to be in compliance. 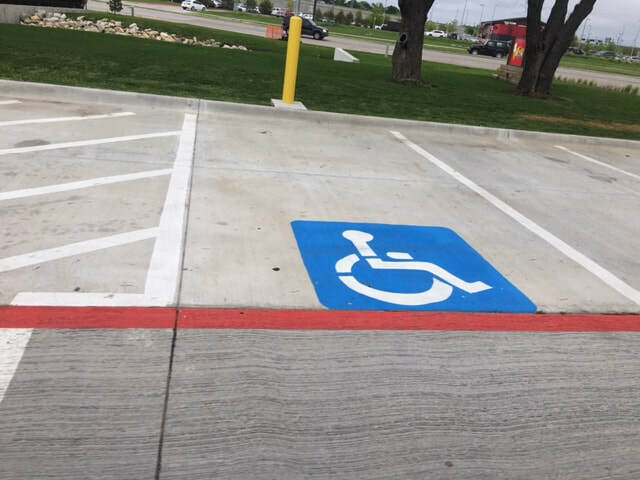 We take care of all handicap parking requirements for your business.